The roof of Paris’ Notre Dame Cathedral collapsed Monday as a massive fire ripped through the structure. The city’s mayor and firefighters warned people to stay away from the area. There have been no confirmed deaths, according to Paris police, while a French government official said no injuries had yet been reported. President Emmanuel Macron will be going to the scene of the fire, according to an Elysee official. He mourned the landmark in a tweet. 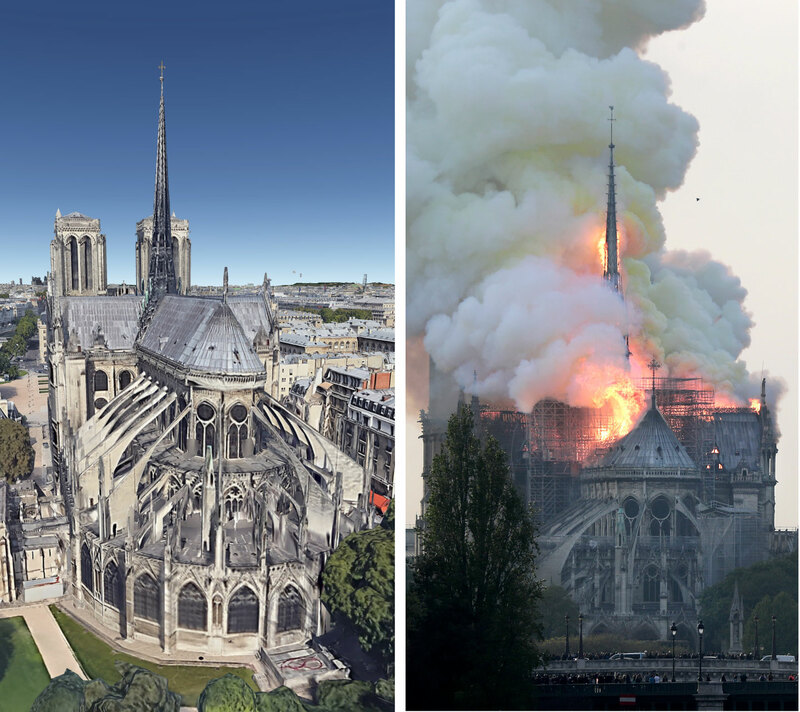 Thousands stood on the banks of the Seine river and watched in shock as the fire tore through the cathedral’s wooden roof and brought down part of the spire. Video filmed by onlookers and shared on social media showed smoke and flames billowing from the top of the cathedral. “It’s not about the faith — Notre Dame is a symbol of France,” said Emmanuel Guary, a 31-year-old actor who was among a huge crowd amassed on the Rue Rivoli, on the Right Bank. Many had tears in their eyes. After part of the spire collapsed, the fire appeared to spread across the rooftop, where the growing flames licked the sky and projected a yellow smoke over the horizon. The fire alarm first went off around 6:30 p.m., Mr. Finot said, adding that the cathedral had been evacuated. The Paris prosecutor’s office said it had opened an investigation.